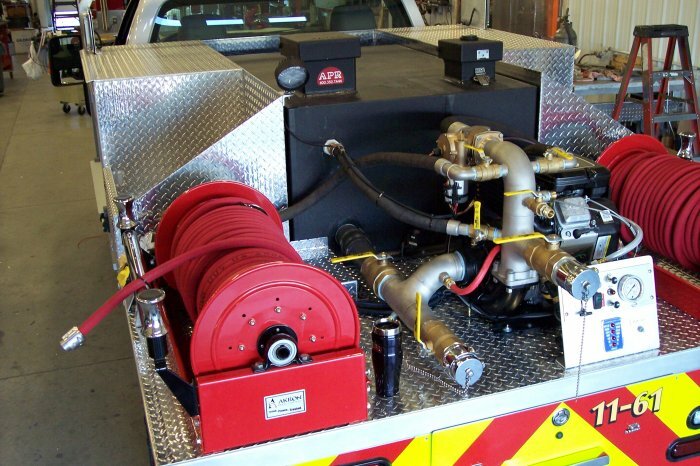 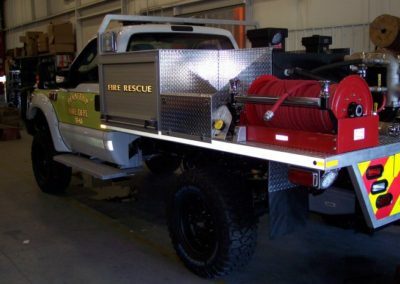 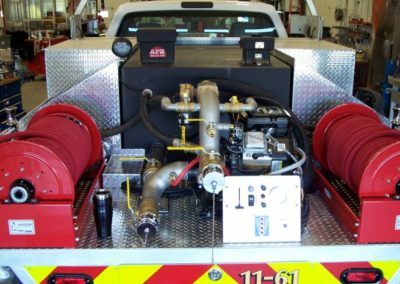 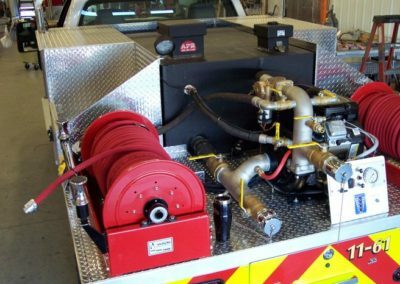 This is a Quick Attack Brush Truck has an aluminum extruded body with an APR 200 gallon tank mounted between compartments. 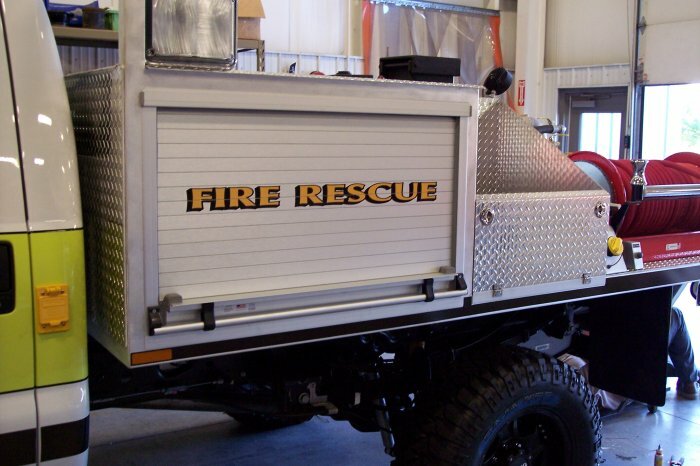 This truck has 2 fully enclosed compartments with ROM doors and two open storage compartments for quick access. 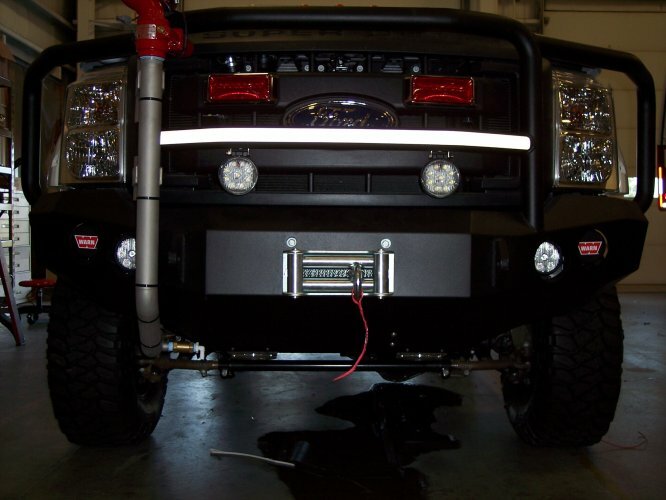 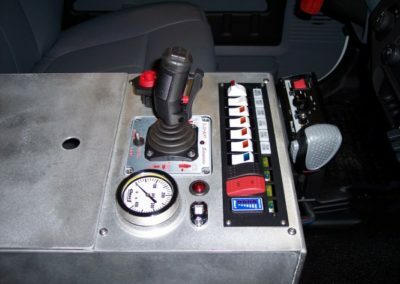 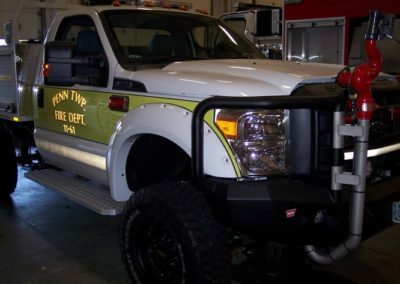 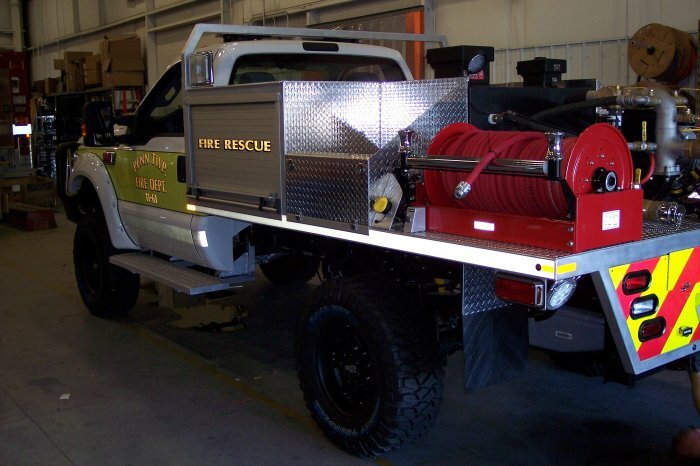 Mounted on a lifted Ford F-350 super cab 4×4, this vehicle is equipped with a remotely operated Hale HPX300 Pump and scotty foam system. 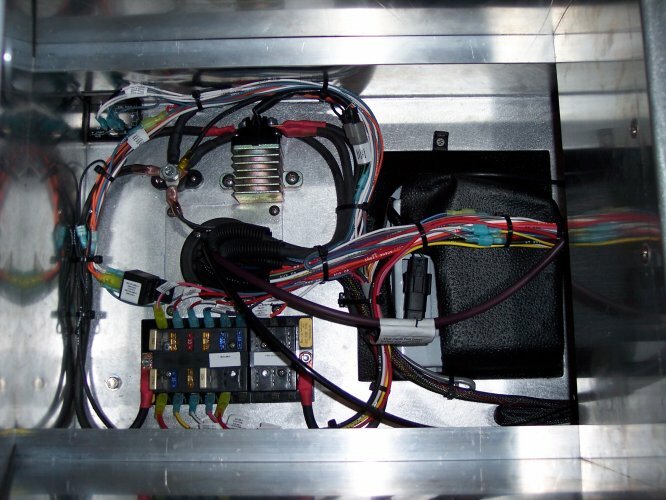 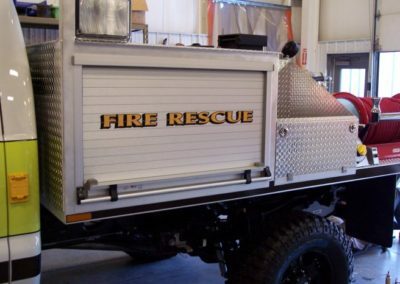 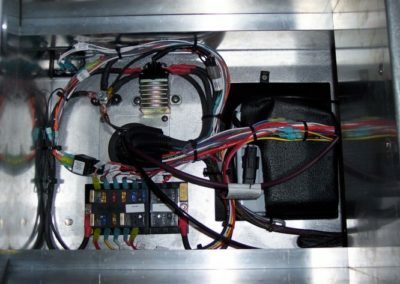 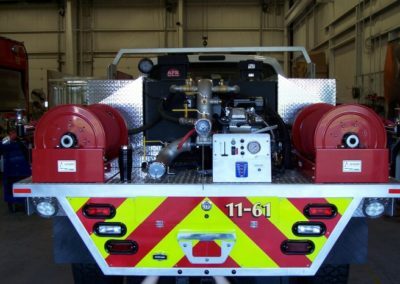 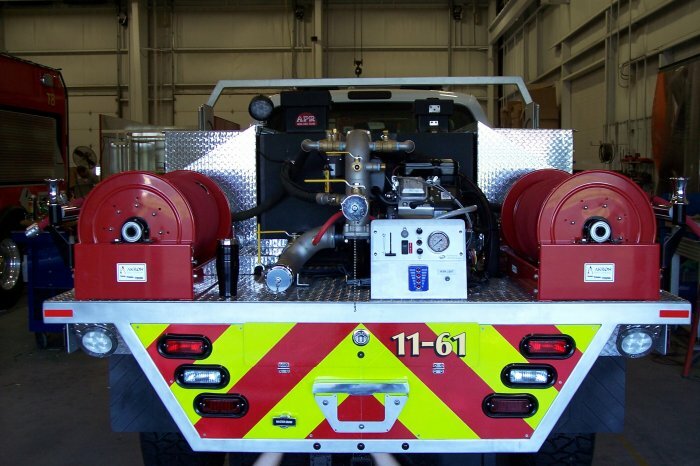 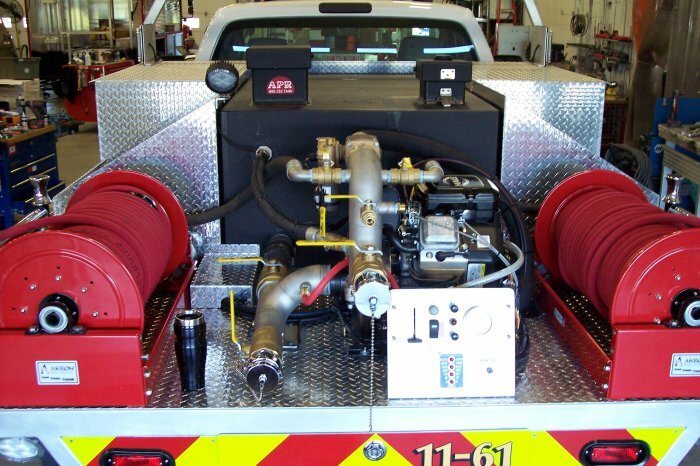 The pump also has cab controls so they are able to operate their Elkhart nozzle mounted on a custom powder coated front bumper without getting out of their truck. 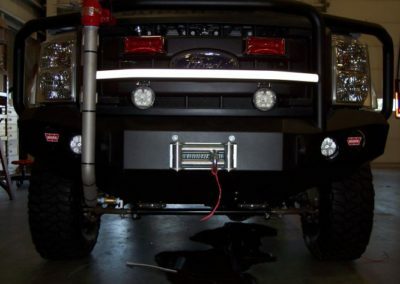 Additional truck features: 2 Akron brass booster reels with 100′ of hose each, LED lighting package, Mickey Thompson Baja tires, Moto Metal matte black wheels, Pro-Charging battery charger, Kussmaul auto-eject, custom center console and running boards, and a Warn XD9000i winch.